HANA members, it is ELECTION time…are you all excited? We hope so because we are asking all PAID members to please cast your votes for the candidate for each of the 7 board positions that you feel will do the best job and represent us and HANA as an organization for the Executive Board Members 2019-2021. Please click on the link below to use Survey Monkey to access the election ballot from the Election Committee. If you have any questions about your current membership status and/or the election, please do not hesitate to reach out to us via email at hanaoffl@gmail.com. 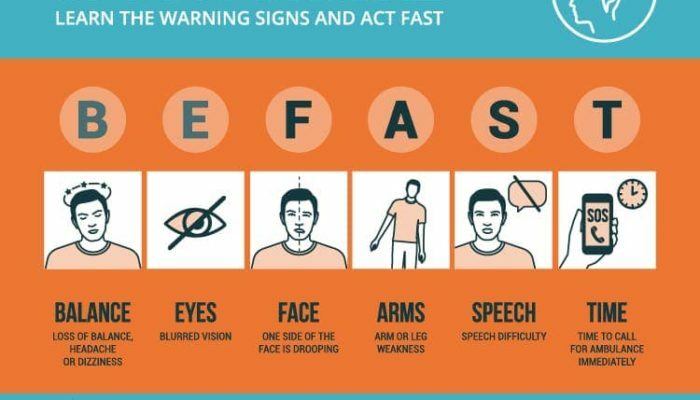 February is Heart Disease/Healthy Heart Awareness Month. 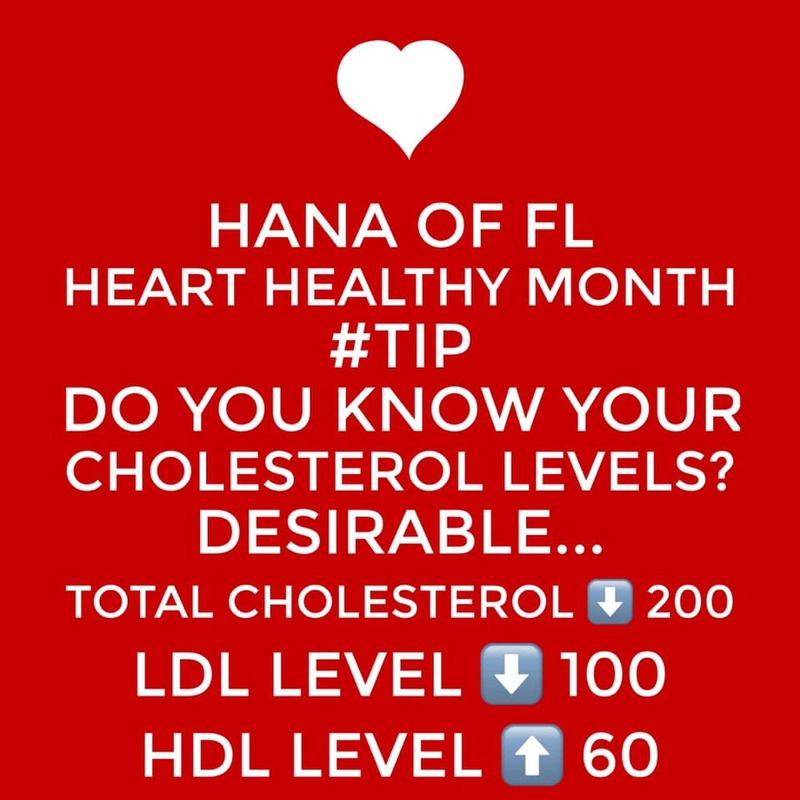 One of HANAs mission is to educate and empower our community with pertinent information as it relates to our health. So many Americans are dieing of heart disease every year. African Americans are more effected more than any other ethnicity group (abcardio.org). 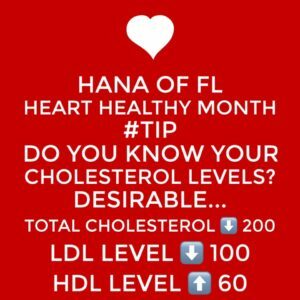 Do you know your cholesterol levels??? As we approach the end of 2015, I want to take the opportunity to reflect on the successes and challenges of a very busy year. The Haitian American Nurses Association of Florida (HANA), Inc. is extremely blessed to have dedicated members, advisers, and supporters who work tirelessly to keep the legacy of the association alive. It has indeed been an extraordinary year for us. On behalf of HANA, it is with great pleasure that I wish you a happy and peaceful holiday season. HANA has been very visible in the community and abroad. We have been working on advocating for our nurses. 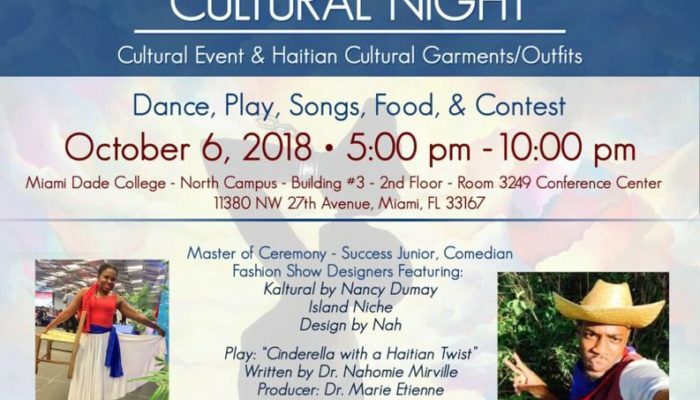 It is unfortunate that a month ago, a healthcare agency in New York decided to place a discriminatory advertisement in a newspaper for LPNs and RNs, boldly stating “No Haitians”. HANA took a clear stand against this offensive ad and demanded a full investigation and substantial penalty levied against this corporate perpetrator of hate. The media was made aware of our disappointment and we are now expecting a thorough investigation to be conducted by the Department of Justice concerning this civil rights violation. We displayed solidarity with our sister HANA chapters in combating racism to positively effect change. involved in the legislative processes related to nursing and healthcare. 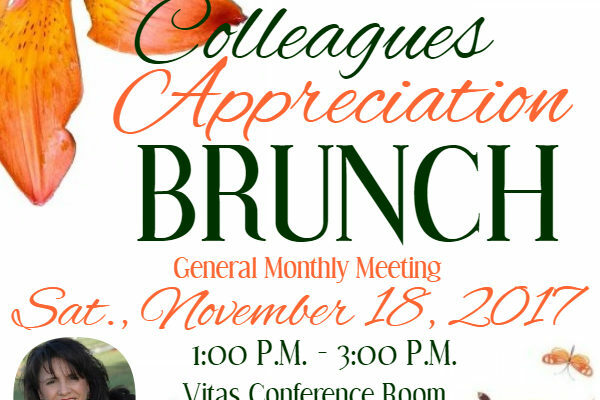 There are several other legislative activities that are scheduled for 2016 in collaboration with other organizations. These include FNA 2016 Advocacy Days in Tallahassee and National Black Nurses Association 28th Annual Day on Capitol Hill, in Washington, DC. Since the last newsletter publication in April 2015, HANA continues to fulfill its passion for mentoring and providing educational support to the local community and abroad. Dear Members, Colleagues and Friends, Tonight, we are celebrating our 32nd Annual Scholarship Fundraising and Awards Gala. 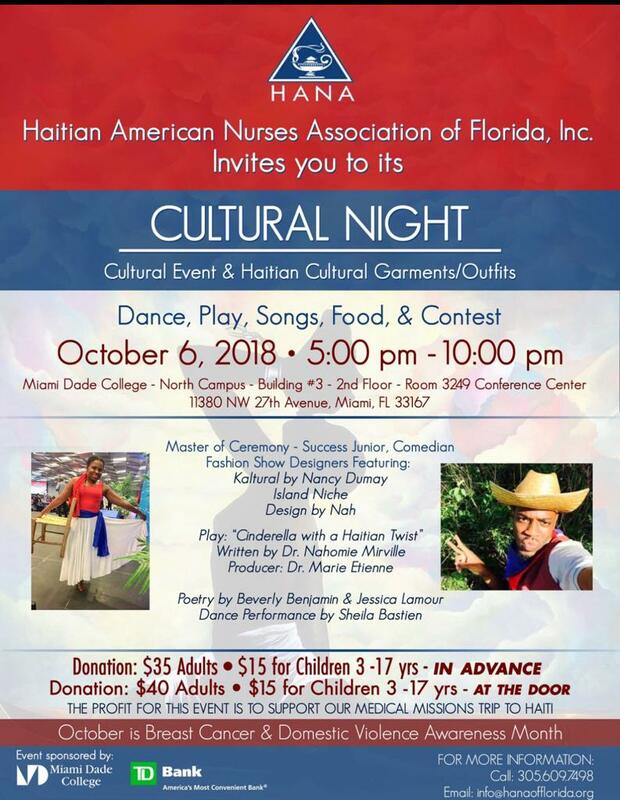 On behalf of the Haitian American Nurses Association of Florida (HANA), I would like to thank you for your continued support in maintaining the legacy of the association. It will be exactly one year since the executive board was elected to lead this noble association, and together, we have done a fantastic job! I also want to thank each board member for the sacrifices and hard work they contribute on a daily basis to better serve our community. The difference that we make as a team in other people’s lives is immeasurable. Tonight, I am eager to share with you the extraordinary achievements that this team has accomplished.